Shirley was born in Chippewa Falls, Wisconsin and received her BS, MS and additional post graduate credits from U-W Stout and U-W Oshkosh. She taught Home Economics and evening Vocational courses in Thorp and Chippewa Falls before moving to Beloit. In Beloit she was hired to teach some part time courses at the Beloit Vocational school while finishing her Masters Degree in Vocational Career Counseling. After 2 years she was selected to open a Career Counseling center at the Beloit Vocational school (one of 3 in Wisconsin at the time). She counseled students at both Beloit and Janesville Vocational schools and served as an employee testing resource for local businesses. She worked with area Police and Fire departments in fashioning tools for employee selection, advancement and ultimately the development of Wisconsin’s first law enforcement training program under the direction of Howard Bjorkland, Administrator, Wisconsin Department of Justice. Before she left counseling she installed the GED (high school Equivalency test) in Beloit and Janesville Vocational schools and experienced the state redistricting of Beloit, Janesville and Monroe centers into the present Blackhawk Technical College system (BTC) for Rock and Green counties. After 12 years in Student Services, Shirley decided to return to teaching in 1972. She taught Psychology (General, Abnormal and Developmental) for the Registered Nurse Associate Degree and Police Science programs for 22 years. Toward the end of those years she initiated the first Long Distance credit courses at BTC, offering General Psychology and Sociology using televised programming. 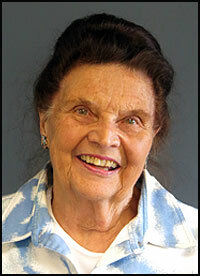 She is an active member of her church and has sung in a Methodist adult choir for 70 years. She is a docent at the Angel Museum in Beloit (the largest private collection in the world). She has been an Ambassador for the Greater Beloit Chamber of Commerce for over 15 years and serves regularly on its Scholarship committee. Shirley is a twice past president of the Beloit Area Retired Educators Association (BAREA) and a past president of the Wisconsin Area Retired Educators Association (WREA) where she currently serves as a trustee for its Foundation.